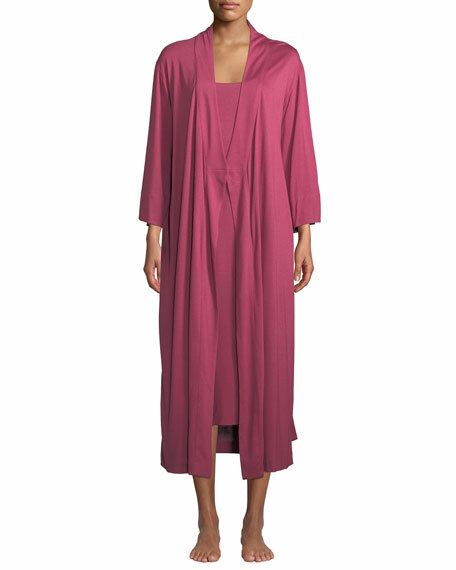 Natori "Shangri La" jersey long robe, ideal for lounge, bath, or pool-side. Straight skirted bottom; straight hem. 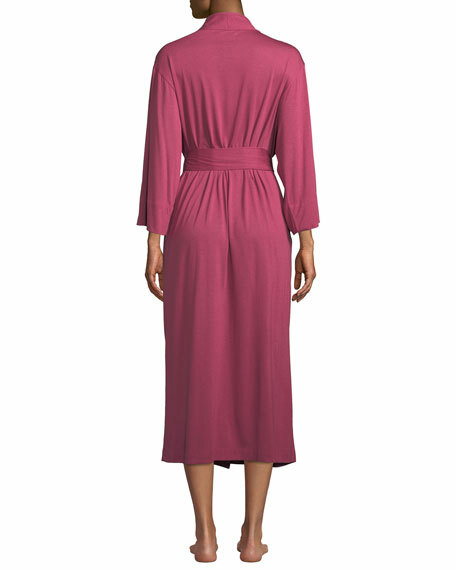 Natori modal jersey tank gown.